Flappy Bird has certainly set a new trend in Android Smartphone gaming. A simple game, almost stupidly simple, yet fun and addictive and leading millions of people downloading that game. It's not really difficult understanding why Flappy Bird was so successful. It was very simple, and people like simplicity. They also like complicated sometimes, just see the massively multi player strategy games out there but people will return to simplicity again and again. Flappy bird was also tough. You needed quite a lot of time to figure our just how to play the game to win. 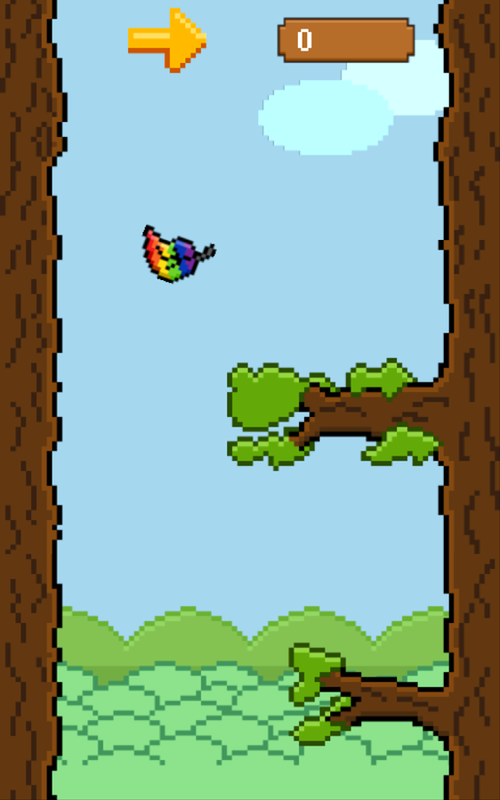 So, does Don't Touch the Branches by Dinger Apps have what it takes to be as good a game as Flappy Bird? What Don't Touch the Branches is all about? Well, the game is deceptively simple. You have to pilot a falling leaf as it fall downs (the tree of life? The tree of eternity? The tree who holds the nine realms together?) the tree and be careful of the many branches of the tree, who span out to catch the leaf. The game also has a retro style look and feel and also simple retro style music which is both reminiscent of time gone by as it is soothing and relaxing in a strange way. The fact that the player has to do just two simple things, move the leaf right or left also makes for a very relaxing game. With simple gameplay, very enjoyable music and interface and the soothing way the leaf glides down the tree, Don't Touch The Branches is actually one of the most fun, relaxing and pleasant games to play, whenever you have five minutes to kill or just want to relax after a full day's work.